Bird watching or birding is a very popular hobby that includes the observation and study of birds. Because visual observation of birds is complemented with auditory observation, the term “birding” is more accurate. Birding is the second most popular outdoor activity in America, second only to gardening as the number-one recreation. For many people bird watching is an opportunity to feel close to nature. 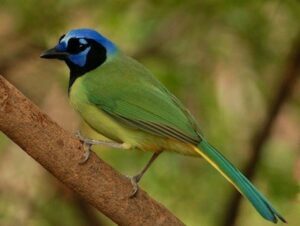 They also enjoy the relaxation and peacefulness by watching birds.Some birders,however,will travel long distances just to see a rare bird. These birders are known as twitchers. Twitching is popular in Britain and several other European countries. 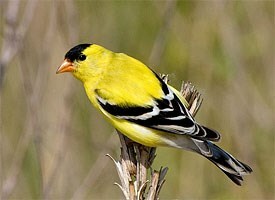 Most birders start out by watching and attracting birds, from gold finches to green jays, to their own backyards. Bird feeding can benefit birds and also provide great bird watching. You can attract a variety of interesting birds to your yard by selecting and offering the right kinds of food. The common types of food offered in bird feeding are seeds, nectar, suet and fruit. Early morning is the best time for bird watching since many birds are then searching most actively for food. Once you start feeding birds, you’ll probably want to identify who is coming to visit. Equipment used for birding includes binoculars, a blank notebook, and one or more good field guides. Field guides are books with pictures and descriptions of the birds. A field guide shows birds of just one country, or one region of a country, or one habitat. Binoculars are described by two numbers: 8×32 for example. The first number tells you the magnification power of the binoculars. The second tells you the size of the objective lens at the end of the binoculars in millimeters. Most bird watchers think that 7 or 8 power is about right for most birding. Some of the top binocular brands include Vortex, Zeiss, Bushnell, Steiner, Carson and Nikon. The next step is to broaden your birding experience beyond your own backyard. Plan a trip to a bird sanctuary, national park and other locations where you can see birds in large numbers. Wherever you go, never harm the birds and always respect other birders. And don’t forget to join a local birding club. Clubs organize field trips, show films of good bird watching destinations and some of them are involved in local environmental projects. Also visit your local library and check out books on birds and ornithology. I would also recommend checking out some birding magazines and visiting some websites for more information.